Toyota announced that they will not go with either of them. Some take it …some leave it … and some still making up their minds, while some have dropped both. A decade earlier, smartphones were only expected to add value as a handheld and least expected to make it into our cars. But this road has come a long way crossing far too many milestones. Today design houses, just cannot build an IVI Head Unit without keeping Smartphone integration as a part of the design. What initially started as a mere Hands-free speakerphone facility through the Head unit, today has ended up with a host of Applications, Voice Recognition, Database, Connectivity port, Streaming device, Cloud-based analytics from Mobile feed data….list goes on. The smartphone market was divided between iOS and Android after Symbian went down the market and there was a lot of potential space to play in the market to showcase capabilities of what Smartphone can do in a car. Apple and Google were smart enough to catch this trend and revolutionize the Smartphone influence inside cars. This, in turn, pushed Apple and Google to come up with Carplay and Android Auto. Mirrorlink was the major game changer as a Solution, which made Apple and Google seed the Carplay and Android Auto thoughts. Credit actually must go to Nokia for having started what was originally called as “Terminal Mode” and later renamed to “Mirrorlink”. The very idea of wanting to see Smartphone screen on the Head Unit Screen triggered what became a major revolution in Automotive Head Unit Design. That way advent of Smartphone integration in Cars can be classified as “after Mirrorlink era”. Apple was the first to catch up with Carplay launch and Google followed soon with Android Auto. One of the drawbacks of MirrorLink is a dependency on Mobile Phone Manufacturer for support. Since Carplay and Android Auto comes built on respective platforms, it has gained a sizable lead over MirrorLink. Today OEMs list the Head Unit details of the Car as a part of their product specification in their brochures like any standard fitment/specifications of the Engine. “Carplay” or “Android Auto” is the most haunting question for a person who is out looking for a new car to buy. If the Customer has already fixed loyalties to the Smartphone, which is already held in hand – then the case can be rested. But equations change if the same Customer is flexible to relook at the Smartphone choice along with the new car considered for purchase! That’s why this question arises – which is better Carplay or Android Auto. Where do these two really stand now – give or take few differences, both Carplay and Android Auto offers more or less same set of features and support. What really makes the difference between them is the User Experience and Flexibility. Google roped in strong partners like Audi, GM and Honda to come up with Android Auto. But Apple drove most of its things on their own without banking much on partners. In trying to become too ambitious, Apple did burn their fingers with Apple maps. Apple maps reported too many snags, to that extent that Apple even decided to support Google maps on iPhones and was quick to put Google maps back in their Apple Store. But this is something they just cannot do with Carplay. You like it or not, Carplay continues to run on Apple Maps only. In terms of complexity – Apple played it safe by keeping Carplay “Simple”. Few taps can take you anywhere you desire but the same has to be reached in Android Auto using several taps. In terms of flexibility, Apple sticks to its own messaging and applications for Carplay. But on the other hand, Google opened Android Auto to the 3rd party apps integration. It is a mixed bag once you do this. Does bring in the flexibility of integrating 3rd party applications, but ends up complicating the “Product Ecosystem”. For Ex: iHeartRadio may be one of the most popular choices, but Android Auto also supports many others like Spotify, Umano etc and probably many more. In this arena, Apple wears a rigid strategy by sticking to iTunes and Podcasts, this way has successfully managed not to infuse any confusion in its own product. Looking at Handset devices supported by Carplay and Android Auto – here again, Apple has gone with “Keep it Simple” rule. iPhones with lightning connectors will go fine with Carplay. Google’s official release mentioned that Android Auto supports any Android phone running with Lollipop version – but the on the ground escalations just did not go with that statement. “Google Now” has limited Customization abilities, while Carplay has the best Customization ability. Google has already traveled good distance with self-driven technology, but Apple so far not made any formal press releases to report their progress or plans. But if rumor mills are to be believed, then Apple is supposed to be working towards coming up with its own self-driving (electric?) car. We may be looking at a company, which failed to build its own premium quality maps – but you never know how Apple perplexes the market with design marvels. With Safety features touching close to 50% of the connected car forecast – there is a huge pressure on both Google and Apple to bring out the Safety aid aspects in their solutions while they continue to focus on delivering the best User Experience. 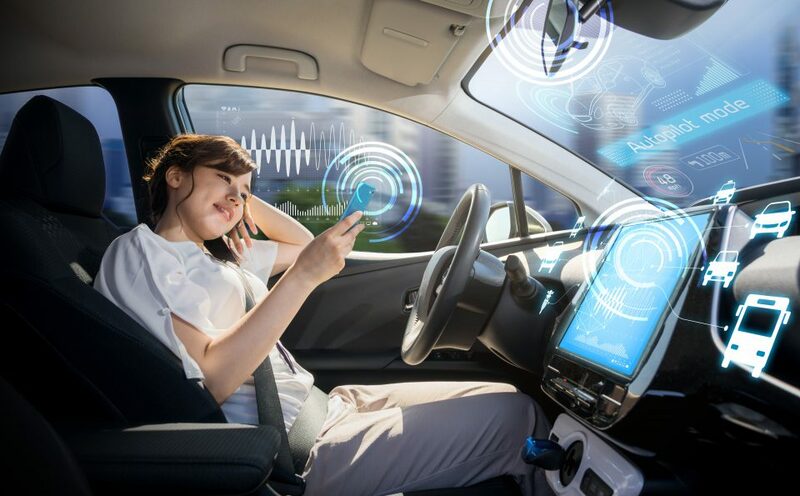 Just as how Smartphone started influencing Automotive Infotainment, now Medical Wearable devices have started to influence what these Smartphones can offer to the driver. In this area, both Google and Apple are even and head-on with Google Fit and Apple Healthkit respectively. On a high level, Carplay seems to emerge as a simple and robust design, which does not seem to have rushed through realizing the product because there is no room for confusion. On the other hand, Google is getting their strategies in place with partners and flexibility in terms of making space for 3rd party players, thereby pushing Android Auto bit more prudently. In terms of market share of new cars rolling out – “Carplay” may have an edge over Android Auto. But the feature rollout plan is not what really matters. Key differentiator will be the “User Experience” and ease of using the Smartphone gadget with the in-car “Head unit” on the dash. 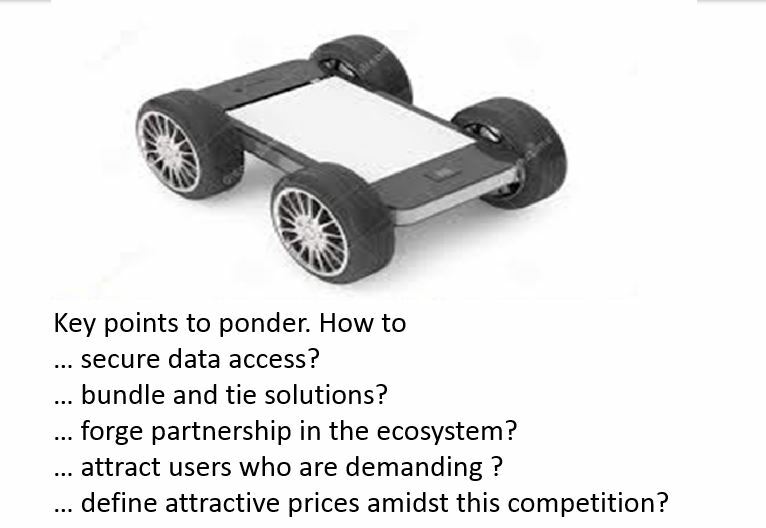 If a Driver will have to go through painful exercises for configuring handset with the Head Unit, exploring complex menus, dealing with confusion on the choice of applications and not able to customize view based on preferences etc – then predicting the Winner is no Brainer. Both Apple and Google are investing in a major way to spearhead in this niche market where there are only 2 players. Figuring out which one would be the clear and present winner will surely not get there without Automotive OEMs spend few more years with Carplay and Android Auto. Until then it is the consumer who would get the best benefit of this competition. Google and Apple have already set the tracks for waging the Smartphone war inside passenger car for a good few years to come. It is anyway required to keep the competition healthy. Thanks for the excellent article. Very well summarised. Appreciate your insight on the trends and how Apple and Google are playing this game in the ‘Connected-Car’ space that is eventually leading towards Autonomous-vehicle era! Looking forward to more such insights.. Thank you Rajeev for your kind words. Yes Gita … but Cortana faces very stiff competition from Siri, Alexa and Google Assist. Also it is seen more as a desktop assistant or handheld assistant at best…for example Skype distribution will soon have it. Microsoft is kind of wary about taking Windows successful products to Automotive after Outlook integration in Automotive did not gain momentum.